PREMIUM COMET 203589-DF/A Replacement belt (BANDO USA). We've special ordered these belts to provide INDUSTRIAL strength power to your Go Kart, Mini Bike or ATV previously using the COMET 203589/Murray 12-8487 belt. Manufactured by BANDO USA. This belt is made to exactly the same specs as Comet Industries 203589 Belt - IN STOCK! 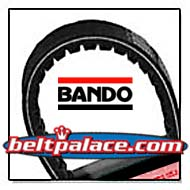 BANDO 203589-DF (A-DF) Comet Go Kart belt is exclusive to Belt Palace! 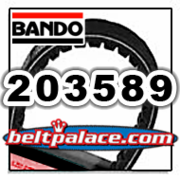 COMET 203589-A, Replacement belt for COMET 203589A and 203589DF.